If you drive a minibus then insurance is essential. This isn’t just because you’re legally obliged to have insurance but for your own peace of mind and the safety of your passengers. There are a few different types of minibus insurance that you can acquire depending on what you use your vehicle for. Many families now own a minibus which is used purely for social and domestic purposes. In this case minibus insurance is no different to car insurance. If you’re transporting members of the public though, whether it be for profit or for charity, you’ll need to have a higher level of cover. Taxi Minibus Insurance – Minibuses are often used as taxis. In this case the type of insurance will depend on whether the minibus used for public hire or private hire only. Private hire taxi insurance is usually cheaper than public hire but regardless of the type of cover you get you must have public liability insurance too. This is a legal requirement for UK taxis. Charity Minibus Insurance Cover – Minibuses that are used for charitable purposes are able to get a special type of discounted policy from most insurance providers. You must be able to prove that the minibus is used for this reason by providing either a Section 19 or Section 22 permit. Fleet Minibus Insurance – When there are multiple minibuses to insurance, a fleet policy is ideal. It’s not only easier to keep track of multiple vehicles this way but it also works out considerably cheaper than insuring the vehicles individually. Breakdown Assistance – This is a very useful additional type of cover for minibus drivers. Whilst many people are already a member of a breakdown service such as the AA, most insurance providers will give you the option to get breakdown assistance included in your policy for a very competitive price. Use a Broker – Using a broker can be an excellent way to save money on your insurance. They’ll contact insurance providers and haggle on your behalf and also be able to advise you on any insurance related matter. Pay Annually – If you pay for your policy annually, you’ll usually be able to save a good amount of money on it. Secure Your Minibus – Making your minibus secure will go a long way to cutting the cost of your policy. Insurance providers take the security of your minibus into account when assessing how much your policy will cost. Fitting an alarm, steering wheel lock and immobilizer is highly recommended. Shop Around – You should always go to more than one insurance provider when you’re looking to take out a new policy. With the myriad of insurance comparison sites out there now, there’s no excuse for not shopping around for your insurance. It’s usually the case that when somebody experiences what it’s like to travel in a campervan for the first time, they fall in love with it. There is a real appeal to being able to travel wherever you want in a country without having to worry about the stress of getting the airport on time, suffering jetlag etc. With a campervan you simply decide where you want to travel and then go there. You have your means of transport and accommodation all in one place. For related news stories be sure to check out the articles below. Firefigthers donned breathing apparatus to tackle a campervan fire in Lewes. A crew was called out to the incident along the A26 in Malling Street on Saturday at 8.21am. Firefighting foam was used to bring the blaze under control quickly and safely, preventing any further spread. 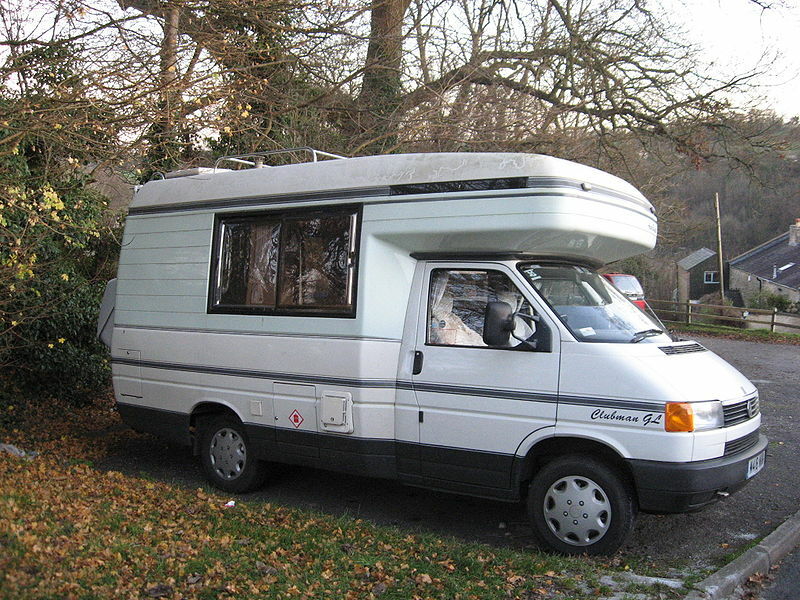 Campervans are particularly vulnerable to fire as they often in close proximity to them when used for camping. Fire is covered for in most campervan policies but if you’re uncertain about whether you have protection you should find out right away. Brazen thieves smashed their way into a Faversham garage to steal a classic VW camper van worth £15,000. The theft from a garage in Standard Quay specialising in classic car restorations happened on Saturday night. Stories such as these show that in reality it’s not possible to eradicate the risks involved with owning a caravan. However having insurance means that if something like this should happen you will at least be compensated. For more articles about campervan insurance check the related articles tab below. It is now possible to buy contents insurance as a landlord. At first you may think as a landlord that the idea of insuring tenant’s personal contents is pointless but what about the settee, armchairs, double beds and washing machines? These are key items of furniture and white goods that tenants will use and sometimes abuse. As a landlord you can expect these items to wear and tear much faster than similar goods in your own personal abode. It is worth bearing in mind if you own more than one buy to let property that you are renting out then you might need a staff member to help out with all the duties of running the properties. If this is the case then be sure to take out employer’s liability insurance as this is a must in UK law. If in the future an ex-employee takes you to court for injury or damage, then this insurance should cover you against that. It is worth noting that a landlord insurance premium depends on a number of factors which will determine the levels of payment you make to your landlord insurance provider. A broker will check to see where your property is located; if it lies within a postcode where there is a high level of crime being recorded then expect your premium to be bumped slightly upward in the wrong direction. The tenants themselves are also taken into the equation too. If you are renting out to three young lads who throw parties every Friday and Saturday night then your premium will be substantially higher than if you rented out to a middle-aged accountant who works in an office every day. The age of the property is also a determining factor in the premium as is the property type (flat, maisonette, terraced house or detached house). The broker will also check to see if there has been any claim made in the past by the landlord; regular claimants can expect a higher premium. The three landlord insurance divisions are building, contents and liability. Landlord insurance claims are always dealt with swiftly and efficiently as it is imperative for the brokers’ reputation that it does so. A broker who delays or questions any claim with too much impunity will find it puts potential landlords off and insurance salesmen will find their work considerably more difficult. Word is often known to spread among the landlord community about broker behaviour.